This is another spread in a series that W.Y. 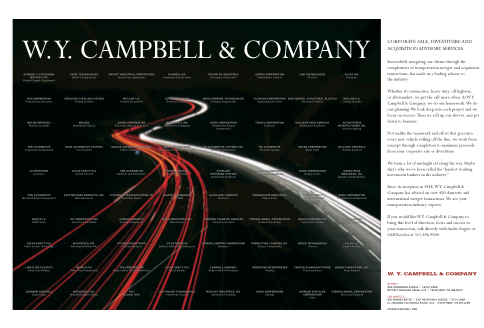 Campbell runs that highlights their unique and varied experience in the automotive business. The ad features a list of companies that they have help sell or merge. These ads were very successful in gaining awareness and responses form other companies looking to do business in Michigan, or looking for businesses to merge or purchase.